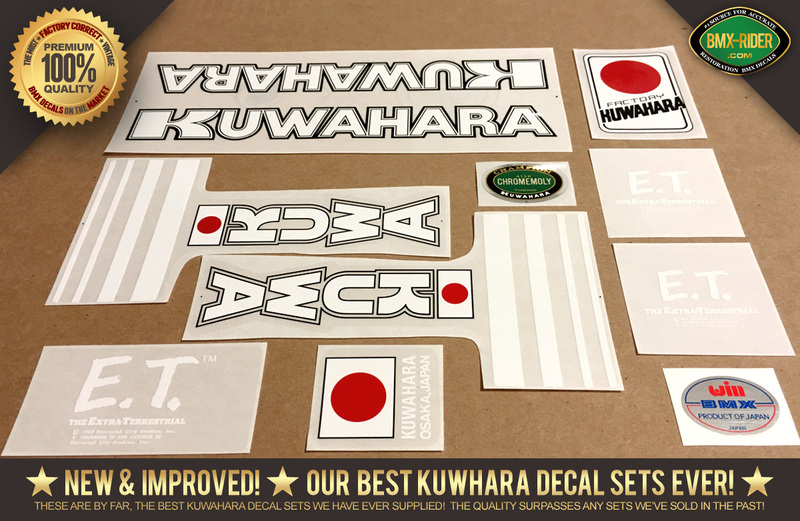 You will get 1 (one) New Factory Correct Kuwahara ET decal set. 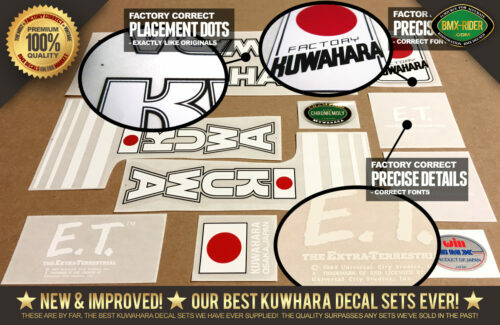 Correct for 1982 Kuwahara E.T. models including the “Original”, “Replica” and “Apollo ET” models. Limited Time Only – You will also get 1 (one) “CHAMPION” fork decal and 1 (one) “WIN” V-Bar handlebar decal. SKU: KET82. 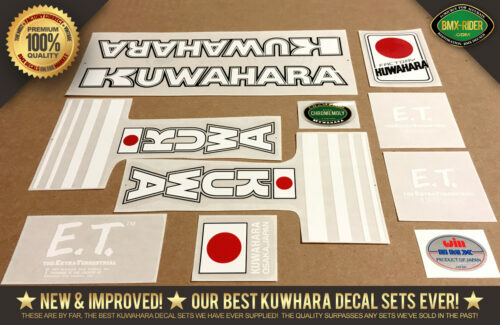 Categories: E.T., Kuwahara Decal Sets. Tags: 1982, E.T., ET, Kuwahara. 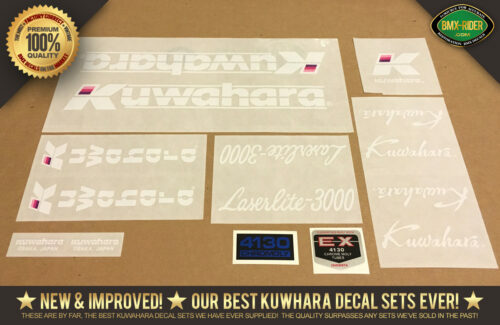 New Factory Correct Kuwahara ET decal set. 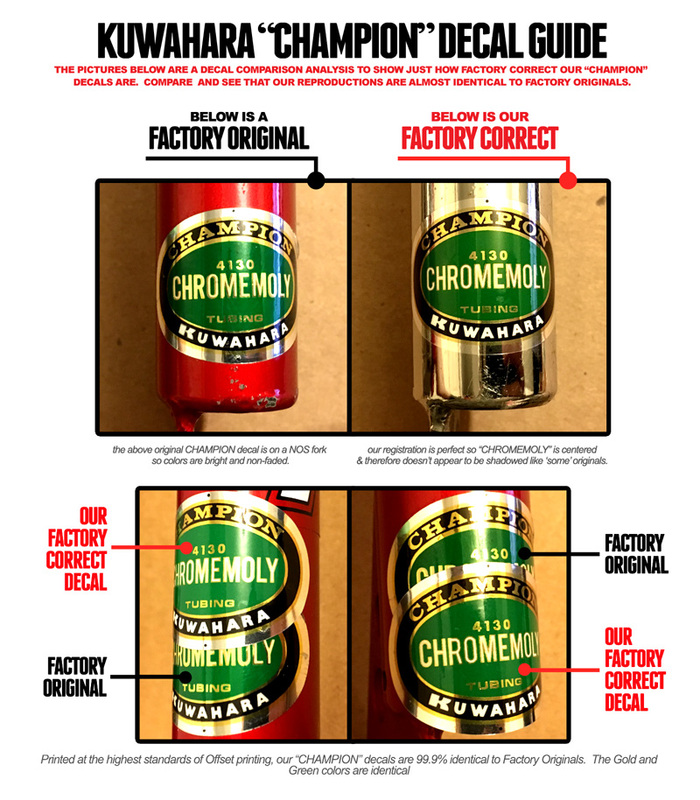 Correct for 1982 Kuwahara E.T. BMX models. 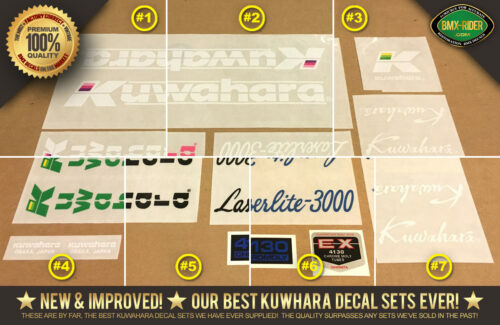 These decals have been printed at the HIGHEST STANDARDS of print. Size, colors, and all the fine details are very accurate & almost identical to original factory specifications! 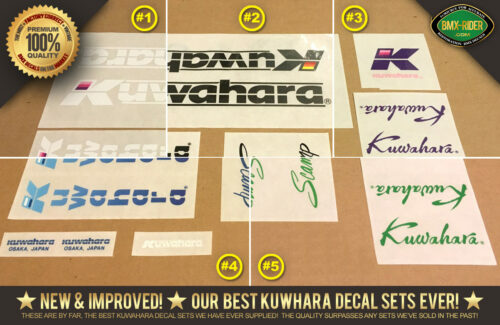 The words “Kuwahara”, most importantly the “K” on the head tube decal should look like the pictures below. These small details are the first giveaway that the fonts on other ET reproduction decals on the market are incorrect (Not to mention they are listed as NOS when they are not New Old Stock). 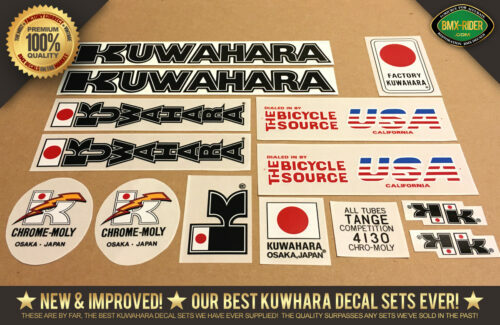 There should also be a white outline around the main down tube “Kuwahara” decal. Other ET reproduction decals on the market do not have this white outline, they are clear.